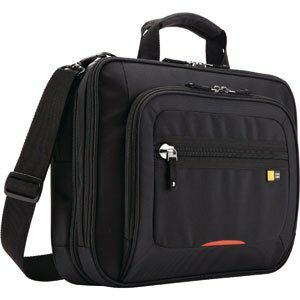 Laptop Bag is one of the important daily needs of the people who use laptop or notebook. When you buy a laptop then you need to buy a laptop bag to keep safe and protect your laptop from any kind damage. 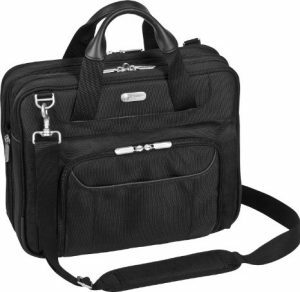 You need to choose a perfect laptop bag, and it’s depends on several considerations. A laptop bag is not for only carrying a laptop, but it also refers to our personality and mentality. 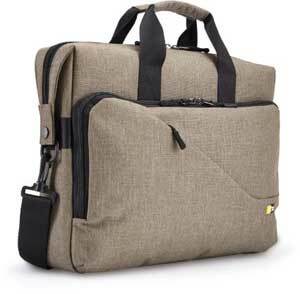 So we need to choose a perfect laptop bag according to its usage, environs, style, material, size, color etc. When you go to an online market or local market to buy a laptop bag, then you need to consider some facts which helps you to choose a perfect laptop bag. Let’s have a look below. We know that, now-a-days people love those things which are stylish and fashionable so we need to choose a stylish and a fashionable laptop bag for us. If you want to buy a bag for professional purpose like you want to carry your laptop though the bag when you go to the office then you may want to buy a simple laptop bag. But do you know? You will find a lot of simple designed laptop bag in the market which are suitable for professionals and looks gorgeous. You will also find different types bags and case to carry your laptop like messenger style laptop bag, laptop backpack, laptop sleeve, leather laptop bag etc. So you need to find perfect one which you like most and which is suitable for you. The size of the laptop bag is one of the most important fact because if you buy a laptop bag which size is too big then your laptop, then you feel embarrassed or if your laptop bag size is smaller than your laptop then you can’t carry your laptop. So when you buy a laptop bag you need to check the size of the bag according to your laptop size. When you buy a laptop bag you need to ensure that there is a separate compartment for your laptop or notebook. It’s ensure your laptop is more secure from any kind physical damage. When you carry your laptop then you may need to carry some other essential documents through your laptop bag and if you carry both laptop and documents in same compartment then there is the risk of physical damage. How Many Internal and External Pockets You Need? 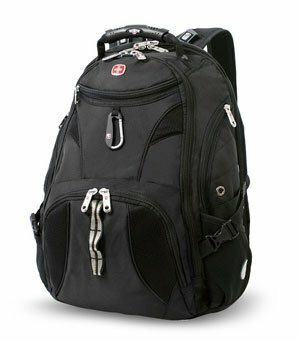 If you want to carry some others essential tools, accessories, files and office documents through your laptop bag then you need to choose a bag with some internal and external pockets. Now-a-days, many laptop bag contains separate small to medium pockets to carry small tools and accessories like business card, charger, mobile phone, iPad, Tablet, pen holder, key holder, external pockets for water bottle etc. We know that, zippers are one of the most important elements of a bag. We need to open or close a bag using a zipper (In most cases). So when you buy a laptop bag, you need to check the quality of the zipper. You need to ensure flexibility and durability of the zipper. You will find a lot of laptop bag at a cheaper price but you need to assure the quality of the materials. If you buy a bag which is made of low quality materials, then you will not use it for a long time even it will not flexible to use. Different people like different color, you will find a lot various color laptop bag in the market. You need to choose a perfect color for you which match with your style and fashion or which you like most. The Weight of the laptop bag is big matter when you want to carry your laptop bag for a long time. When you go to travel or long drive, then you may need to carry your laptop bag so that you must choose a lightweight laptop bag for you. If you want to buy a laptop bag with shoulder strap, then you need to check the flexibility and comport ability of the should strap. You also need to check the shoulder strap is adjustable and removable or not. Are you planning to buy a laptop bag for you or your buddy? Then read this post carefully and you can also read my other post Laptop Bags Buying Guide. Have I missed any point this important to Choose a Perfect Laptop Bag? Please let me know by commenting below. Please share this post with your friends if you find this helpful and also you can Subscribe to Laptopbaginfo to get more tips and tricks about laptop bag.